Dr. Borhan Udddin Khan is currently a Professor and Chairman in the Department of Law, University of Dhaka. He is a former Dean of the Faculty of Law, University of Dhaka (2006-2010). Dr. Khan holds an LL.M. in Public International Law from the London School of Economics and Political Science (LSE), University of London and Ph.D. from the School of Oriental and African Studies (SOAS), University of London. After obtaining LL.B. (Hons.) and LL.M. from the University of Dhaka, he joined the same University as a Lecturer in 1989. Before joining as a lecturer he enrolled himself with the Bangladesh Bar Council as a lawyer of the Dhaka District Court in 1986 and subsequently in the High Court Division of the Supreme Court of Bangladesh in the year 1988. In order to pursue higher studies research, he has in the past, among others, availed of Commonwealth Scholarship, British Council Fellowship, UN/UNITAR Fellowship in Public International Law and Scholarship from The Hague Academy of International Law. Dr. Khan is currently a member of the Board of Advisors of Asian Society of International Law and member of the Editorial Board of the Asian Journal of International Law. He is a founder member and a former Vice President of the Asian Society of International Law. 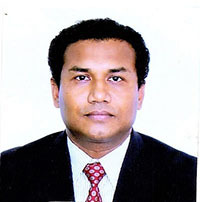 He is the founder President of the Bangladesh Chapter of the Asian Society of International Law. He is also a member of the American Society of International Law and International Law Association. His areas of expertise include: International Human Rights, Minority Rights, International Humanitarian Law, International Refugee Law, International Labor Law and the Laws of Armed Conflict. He has to his credit several books and articles published in reputed Journals.